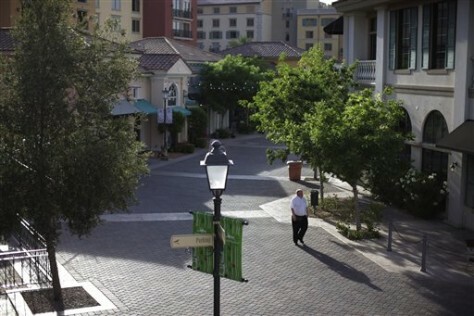 A man strolls down an empty street in a shopping area at Lake Las Vegas in Henderson, Nev. The community was designed as both a resort and residential destination — leaving it heavily dependent on second-home buyers and tourism. Both faltered when the economy sputtered.